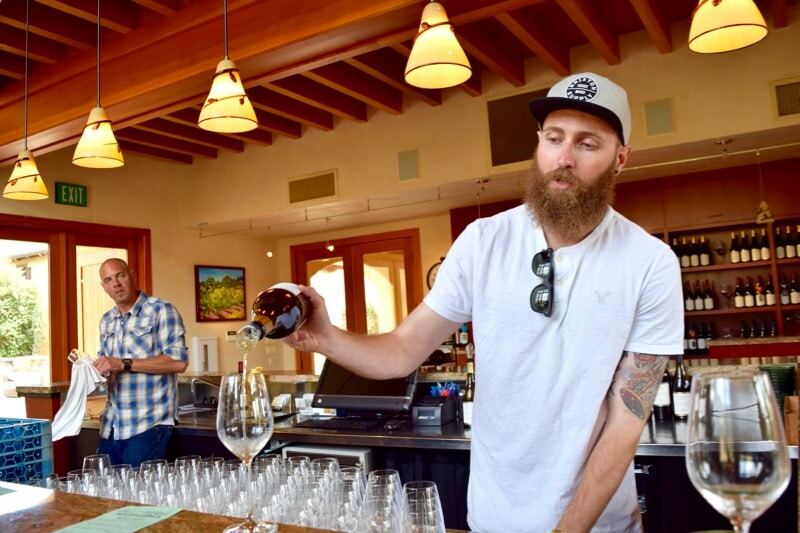 Wine tasting is a must-do when visiting California. 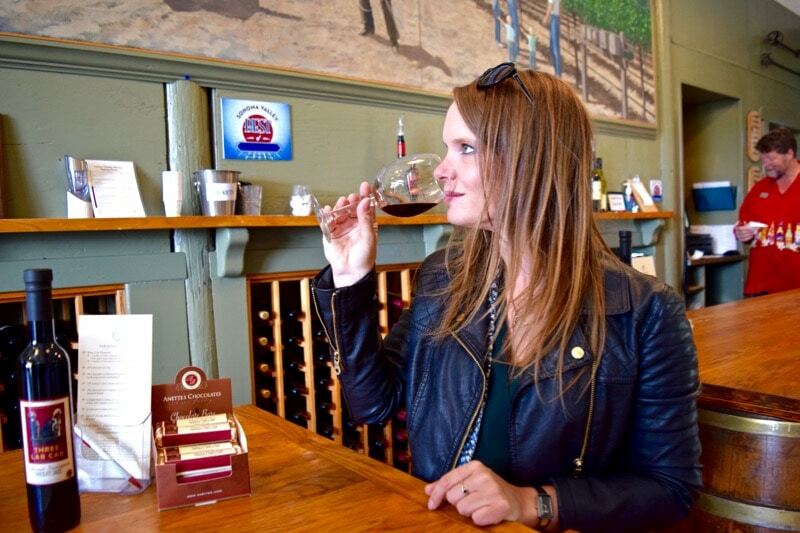 I headed out to the Sonoma Valley to check out some of the stunning wineries and of course, sample a few top wines! After 2 weeks of fast-paced travel from LA to San Francisco via Yosemite National Park, I was ready for to slow things down with a relaxed day in the countryside. 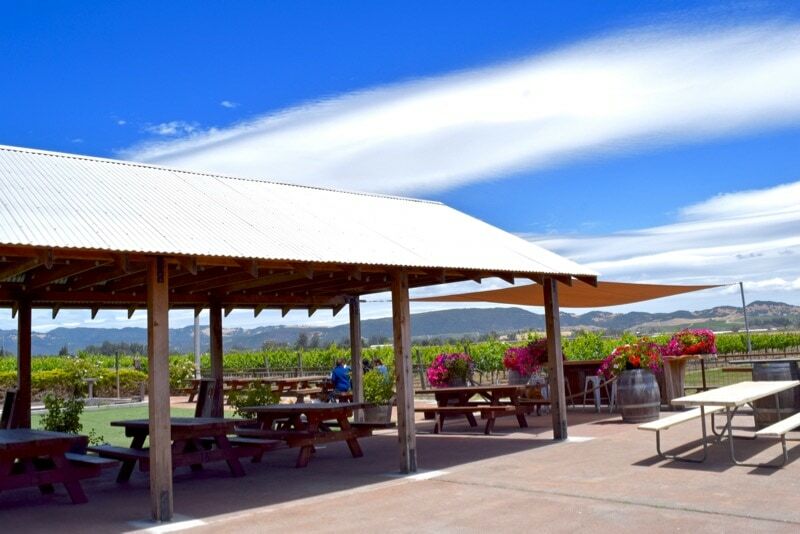 I booked a wine tour of the Sonoma Valley with Green Dream Tours. 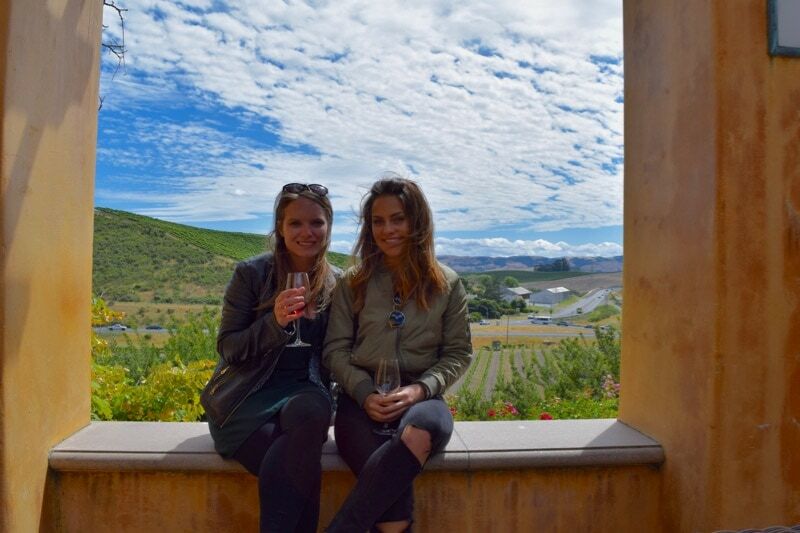 I picked Sonoma over Napa as many I spoke to said it was less touristy and just as good! 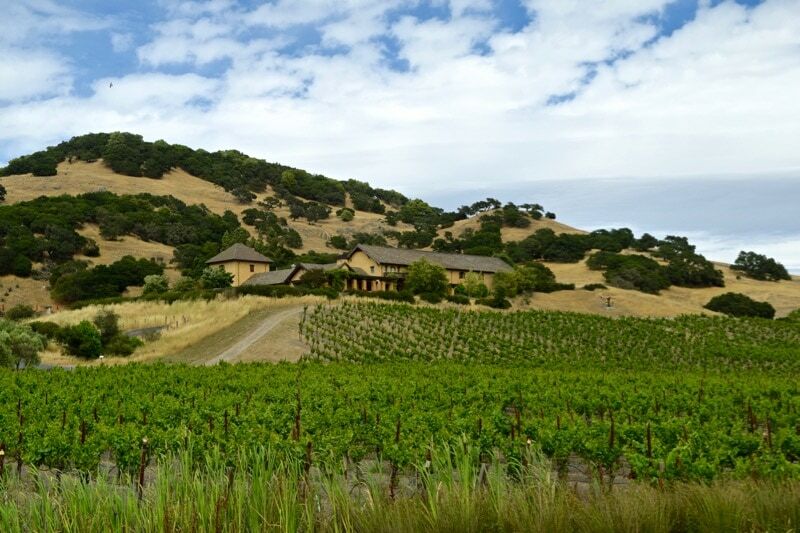 Sonoma County is around an hour from San Francisco and the region is home to more than 900 wineries. It boasts spectacular scenery with olive trees, fruit tree and sweeping hills lined with vines, all set against a bright blue summer sky. If the drive there was anything to go by, we were in for a treat! Tour guide Mark was enthusiastic and full of jokes as we left the big city behind. 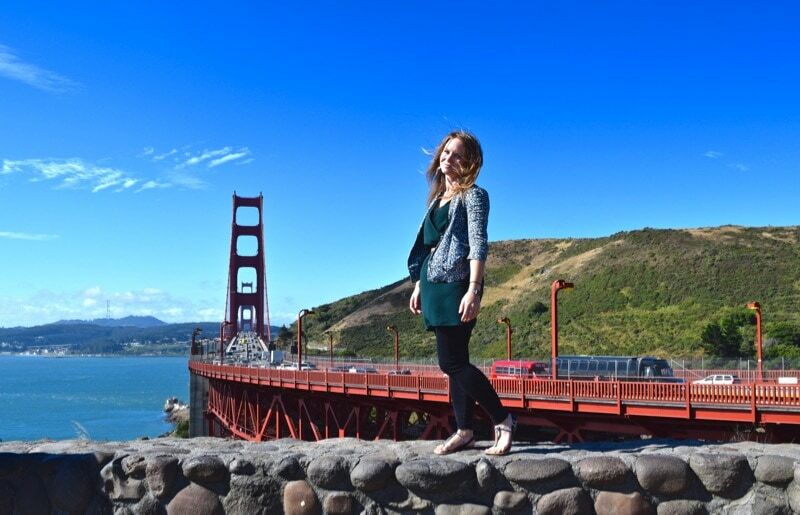 After a brief stop for photos at the Golden Gate Bridge, we headed towards Sonoma. 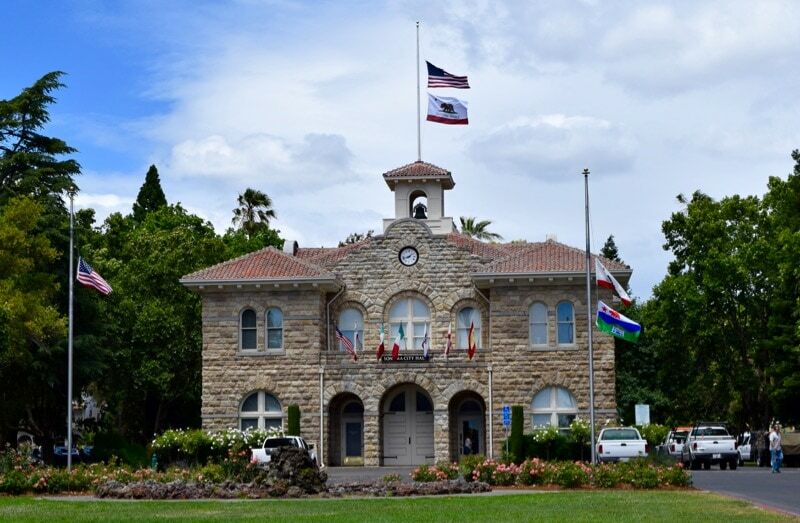 So why Sonoma? As with top wine countries such as Chile, Argentina and South Africa, it’s all about the climate. In Sonoma, the days are long and warm, but as the afternoon fog rolls in the temperature cools and the grapes rest overnight. Grapes ripen slowly and evenly, and also hang on the vine longer so develop more complex flavours. It’s a Mediterranean climate – with a long dry summer from April to November, then most of the year’s rain in the winter. With a little bit of knowledge we were ready to start the fun bit – the tastings! 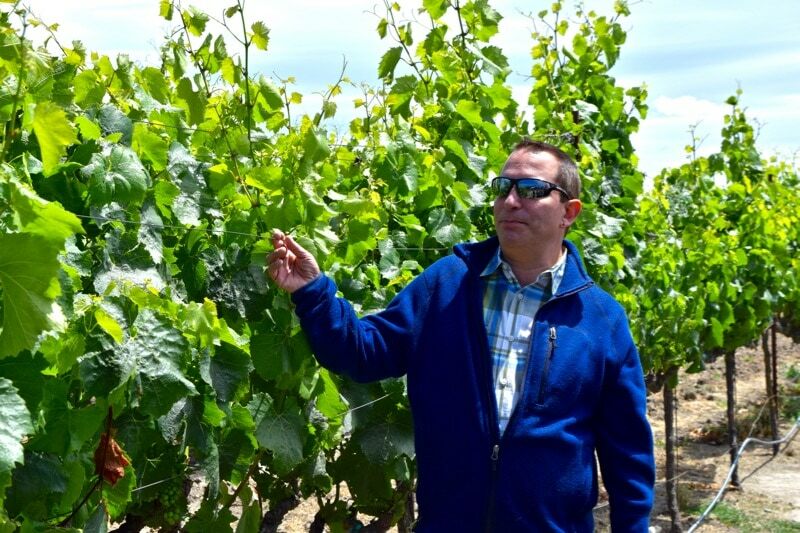 We arrived at Robledo Family Winery and Mark armed us with the 5 S’s – the vital skills to help us taste wine. 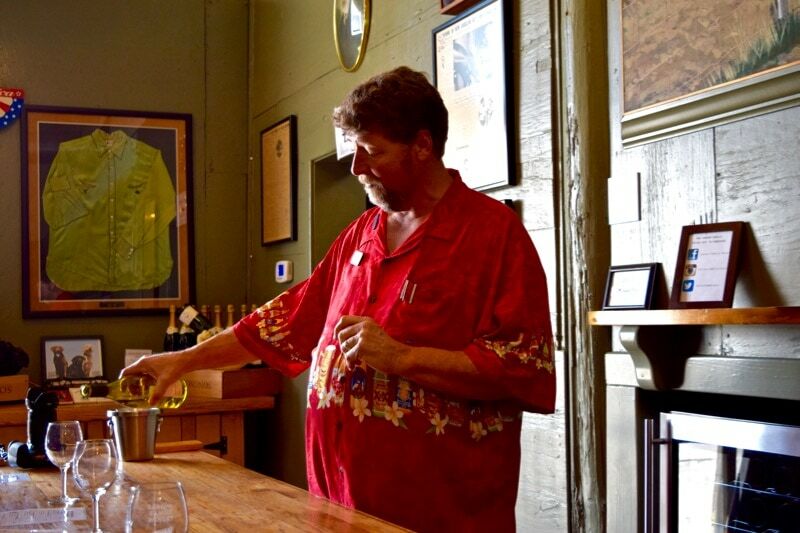 He reminded us there was no right or wrong with wine – it’s a personal thing and even the most expensive wines aren’t to everyone’s palates! Fancy joining in? Pour a glass of vino as you read this and then give the 5 S’s a go..
As lessons go, this was proving to be a pretty fun one! 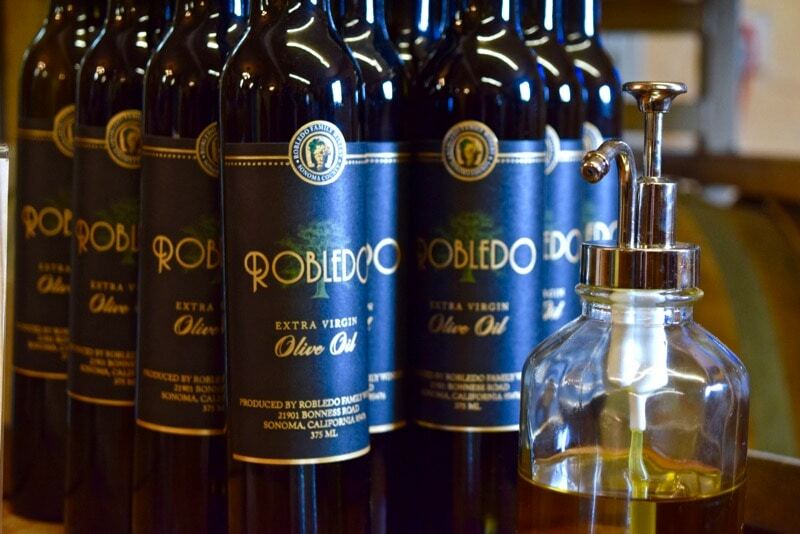 We sampled 5 wines at Robledo with my favourite being the deep cabernet sauvignon. The moscato was surprising as it wasn’t as sweet as many I’ve tried. Robledo’s story is a pretty special one. In 1968 Reynaldo Robledo left his home in Mexico and spent years working in vineyards across the state of California. 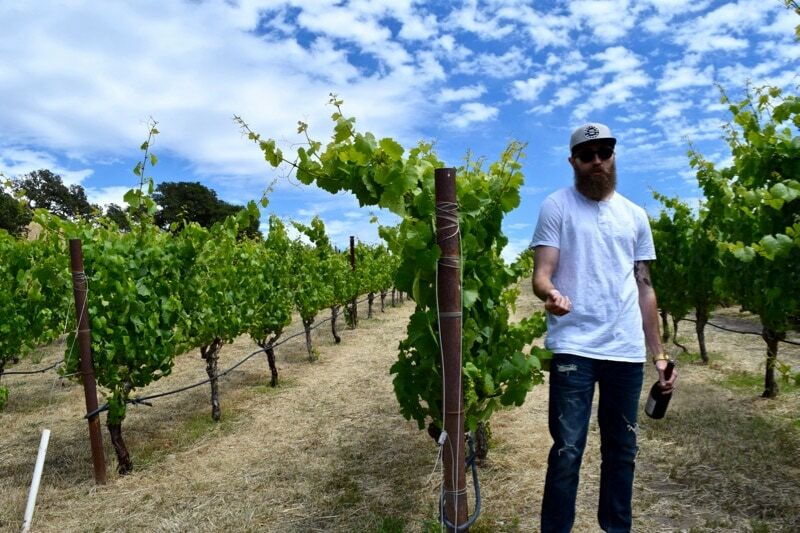 His experience grew and grew until he was in a position to set up his own winery. He and his family purchased fourteen vineyards (approx. 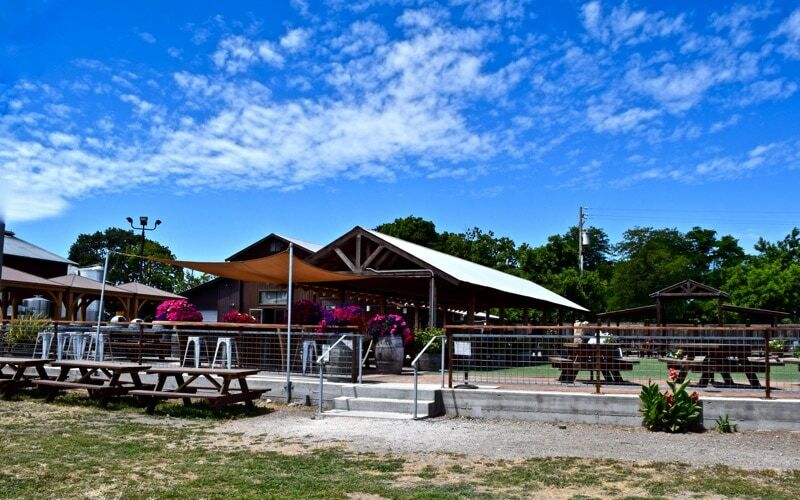 350 acres) and opened Robledo Family Winery. 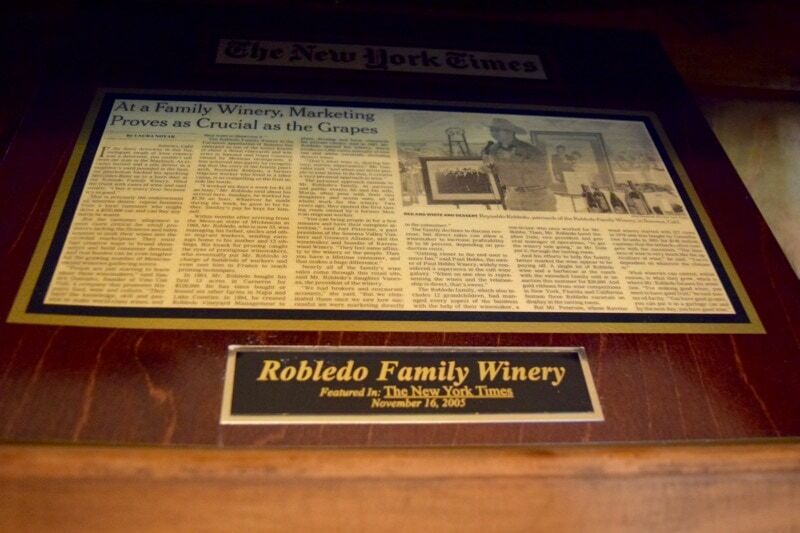 It’s famous for being the first winery established by a former Mexican migrant worker, so it was no surprise to see lovely family photos all over the wall, along with photos of Reynaldo with Barack Obama and other noteworthy people! He had quite the reputation! 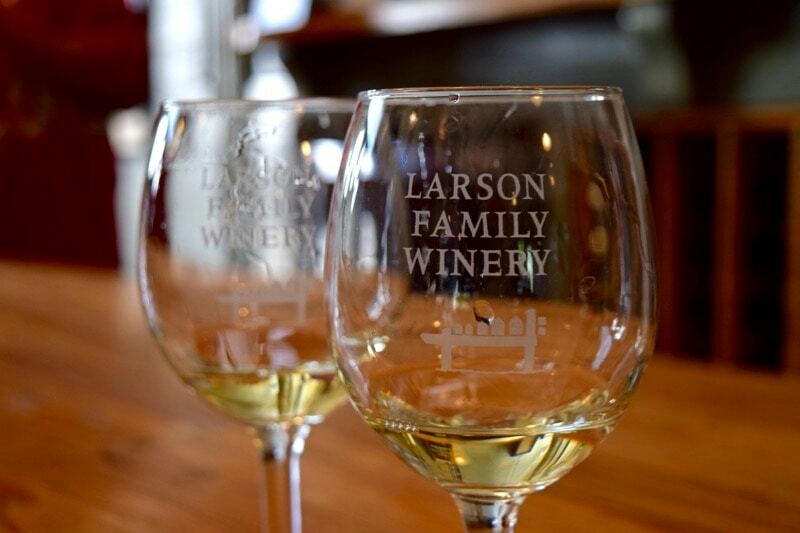 After tasting 5 wines we took a trip to Larson Family Winery for round 2. Again, as stories go, this had a pretty interesting history too! 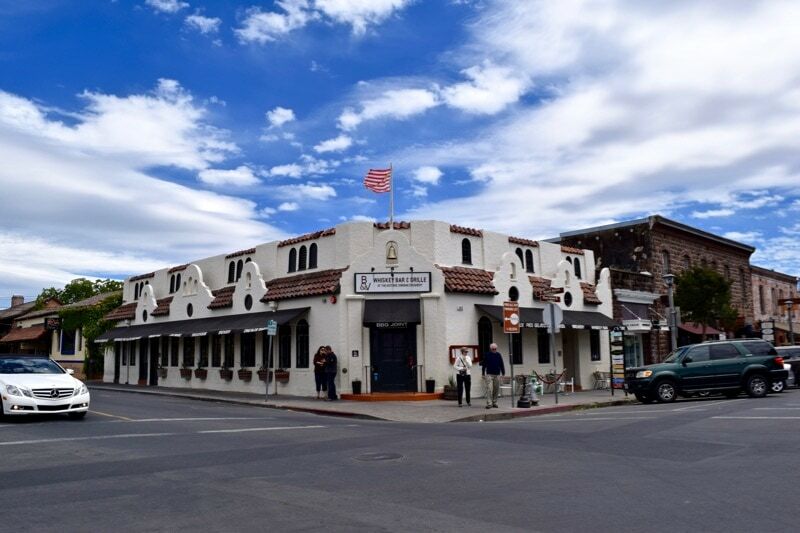 The legendary Sonoma rodeo took place here, so plenty of famous cowboys enjoyed the area. One thing that was really starting to shine through was the importance of family to this industry. 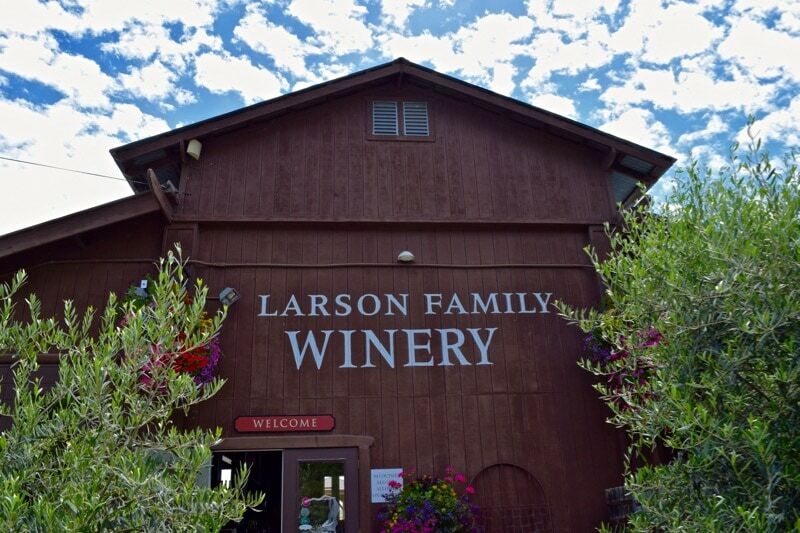 The Larsons started planting the first Chardonnay vines in 1977, and gradually the 40 acres of grapes produced more wine than they could drink… in fact the winery has the slogan – “We drink what we can, and sell the rest!” Tom and his wife Becky have been running the winery since 1993 and their kids are the fifth generation to work the land. 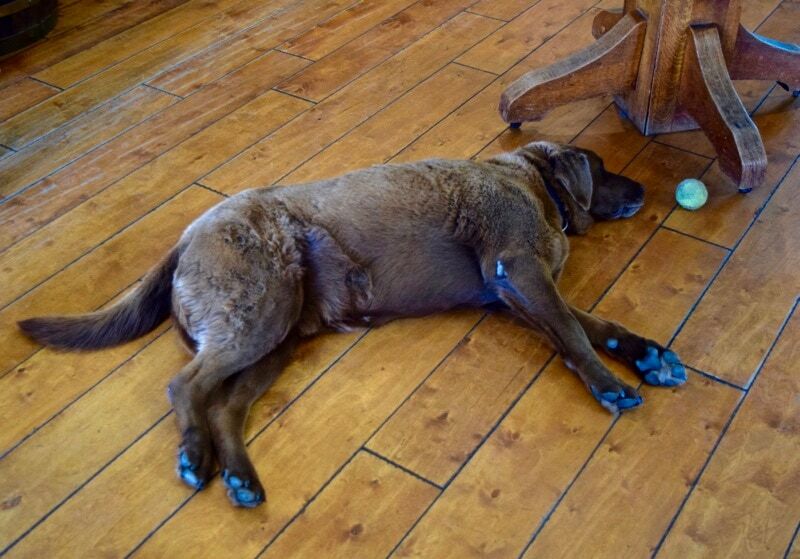 Oh and not forgetting the three gorgeous Labradors that live there! As a visitor to the winery it was refreshing to hear the multi-generational story, rather than it be a faceless commercial business. The Larson Chardonnay was delicious with great oaky, nutty and buttery flavours. It was fun to try the 3 Lab Cab – which was paired with a spoonful of rich chocolate sauce… very quirky and it really worked! 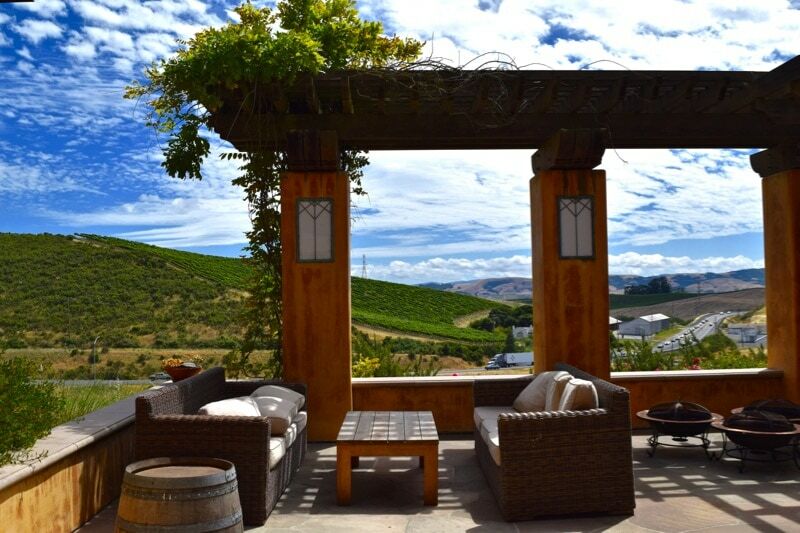 The views from Larson Family Winery were stunning. Endless rows of lush vines, fluffy bands of cloud and a bright blue California sky. It was warm, the wine was going to my head, and it was definitely time to soak up a bit of the booze with lunch. 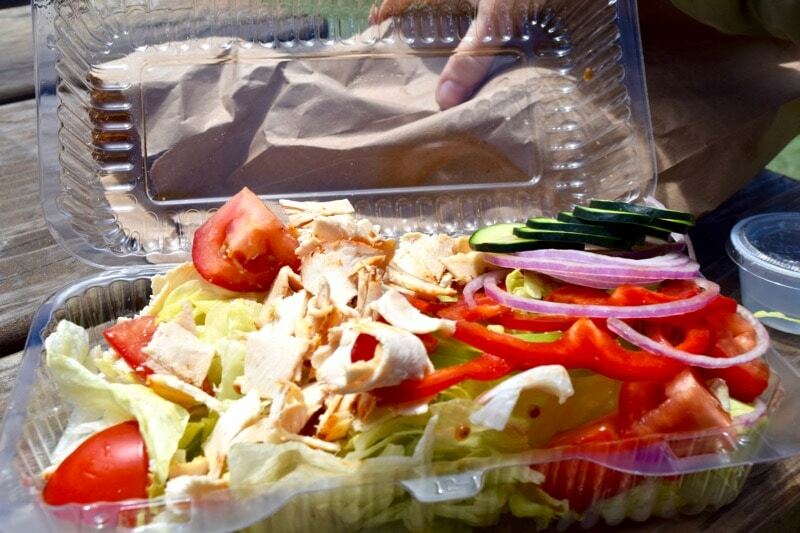 Mark brought huge deli sandwiches from Broadway Market. 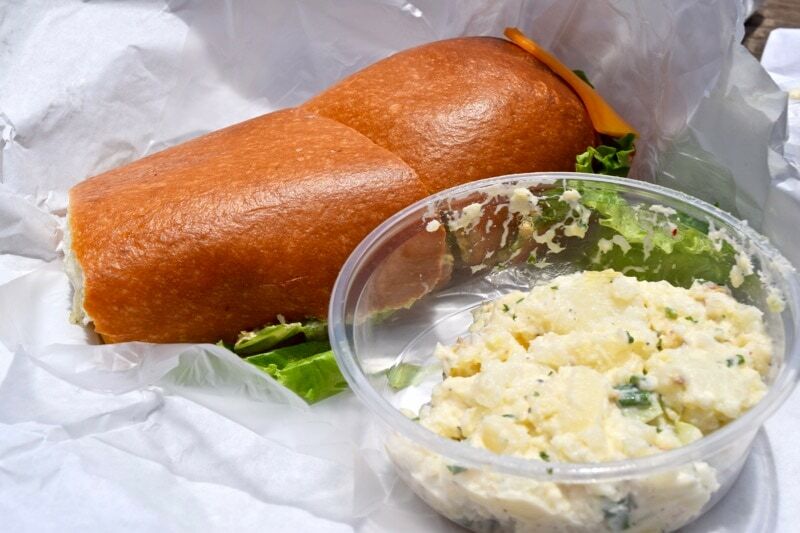 They were really delicious, and as we sat outside on benches, we nattered about places we’d travelled to, what we did for a living and more! Mark dropped us in the cute city of Sonoma. It was like going back in time – one cute central square with shops, delis, cafes, and an old cinema. In the centre of the square was the city hall, a building constructed to be completely symmetrical so that no store faced it more than another! 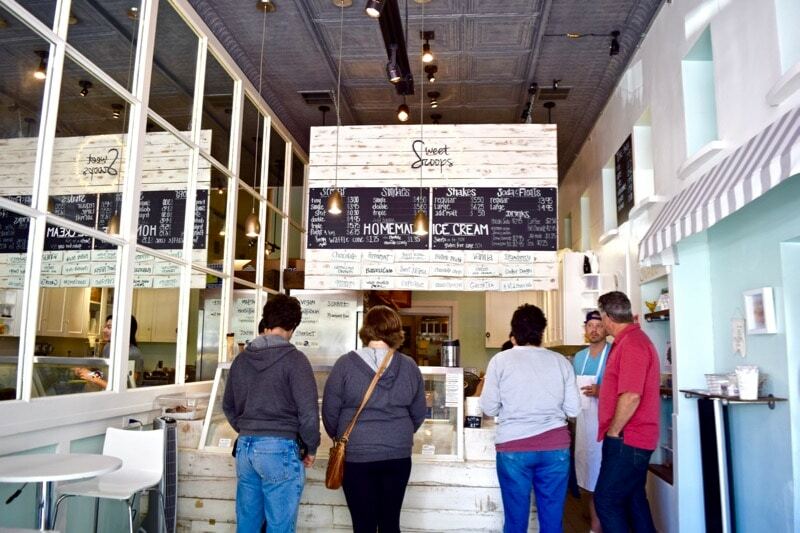 To cool down, we headed to Sweet Scoops for an ice cream, before checking out the famous chocolate store and cheese factory. Our final stop of the day was at Nicholson Ranch, which boasted one of the most picturesque locations. Up on the hill was an adorable 1960s chapel, with a waterfall cascading down beside it, lovely gardens and a beautiful terrace looking out over the countryside. 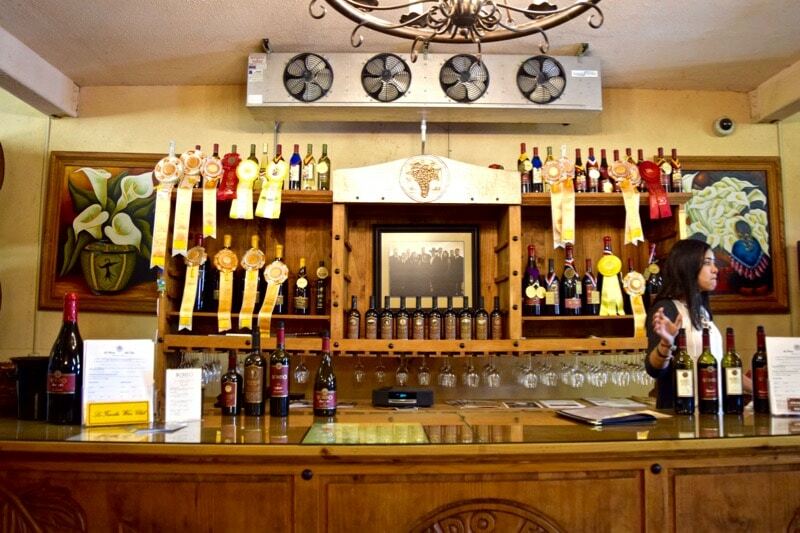 Nicholson are a boutique winery. 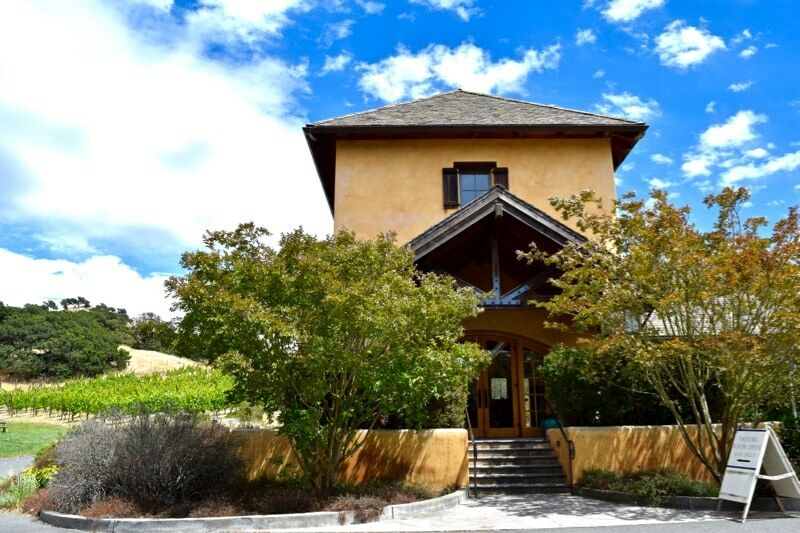 They grow their grapes naturally and sustainably, and ferment in small batches. As a result they produce relatively small quantities… but it’s all about quality. Another quirk was checking out the caves! Dug out in 2000, most of the winery is housed in the cave area. 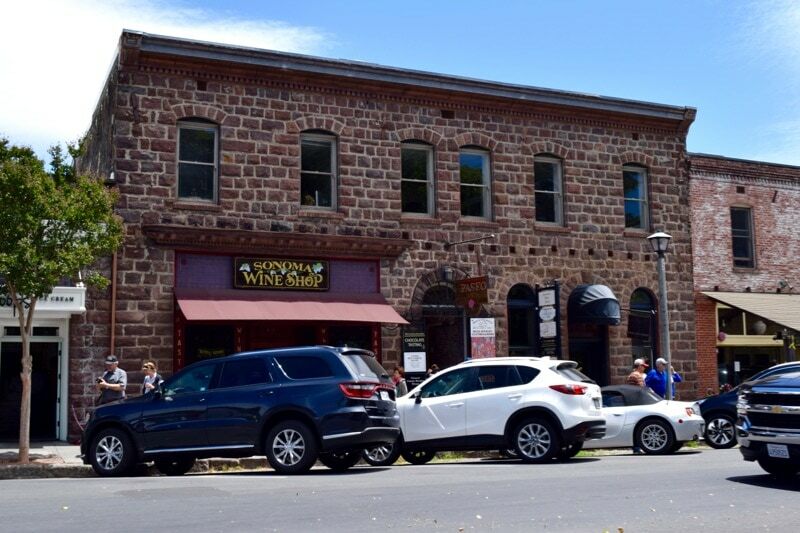 It really wasn’t just any winery! I really enjoyed the wine here, with the pinot noir being my favourite. One of the most surprising things I learned on the tour was that California state law says you can bring your own wine to most restaurants. 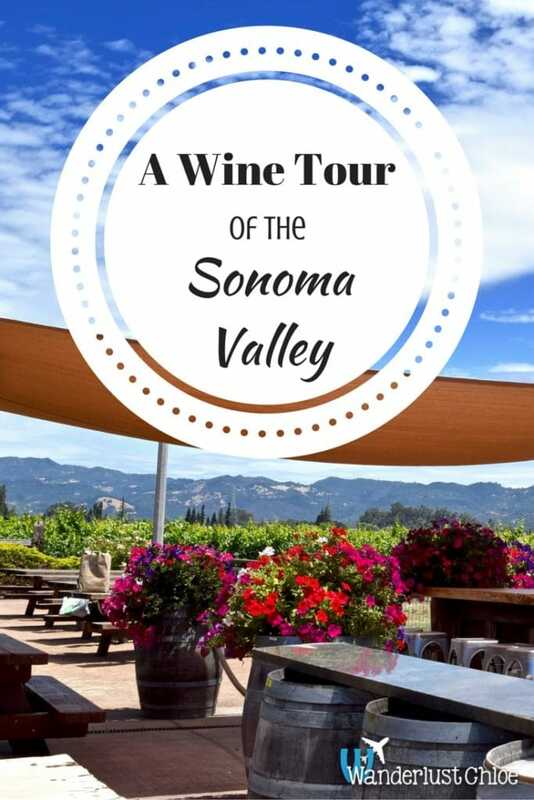 You’ll pay a small corkage fee, but there’s the opportunity to stock up on a few bottles on tours like this, then head out for a great meal in the evening and crack them open! 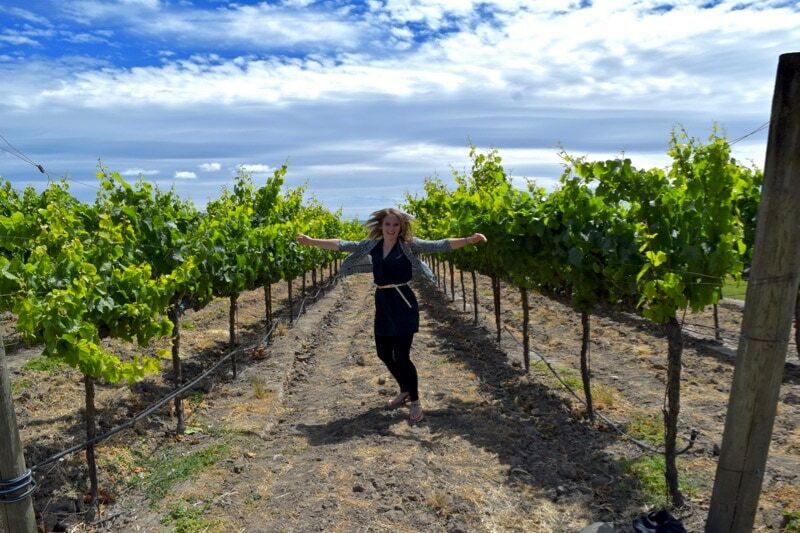 The Sonoma Valley wine tour with Green Dream Tours was a great experience, and while I think a good Argentinian Malbec will always be my wine of choice, there were some strong contenders in Sonoma! 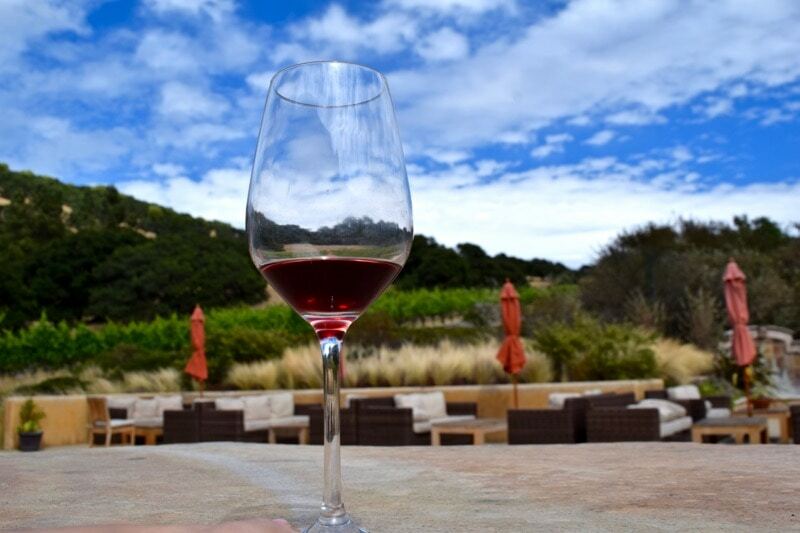 Find out more about wine tasting in Sonoma. 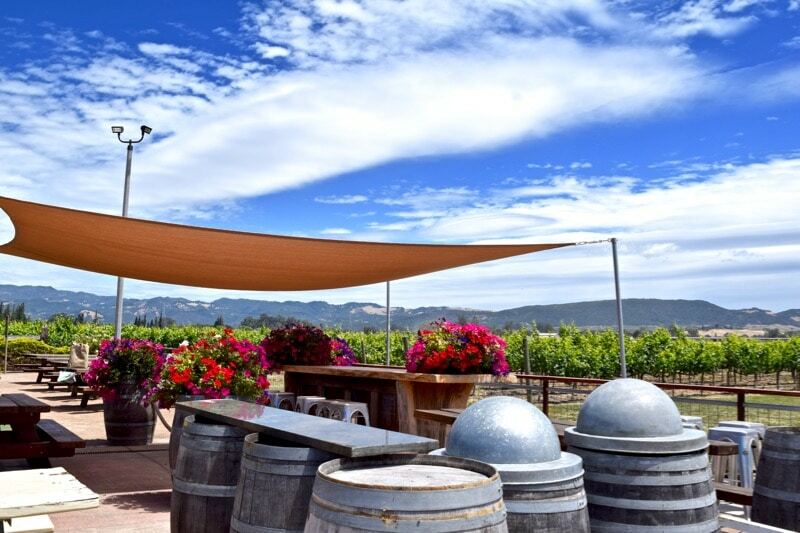 The Sonoma Valley Wine Country Tour costs $134 per person. Find out more and book here. Thanks to the team for inviting me along. As always, opinions are my own. Win A 9 Day Egyptian Felucca Odyssey Tour With Travel Talk Tours! Ah wow – I’d love to have done Napa too. 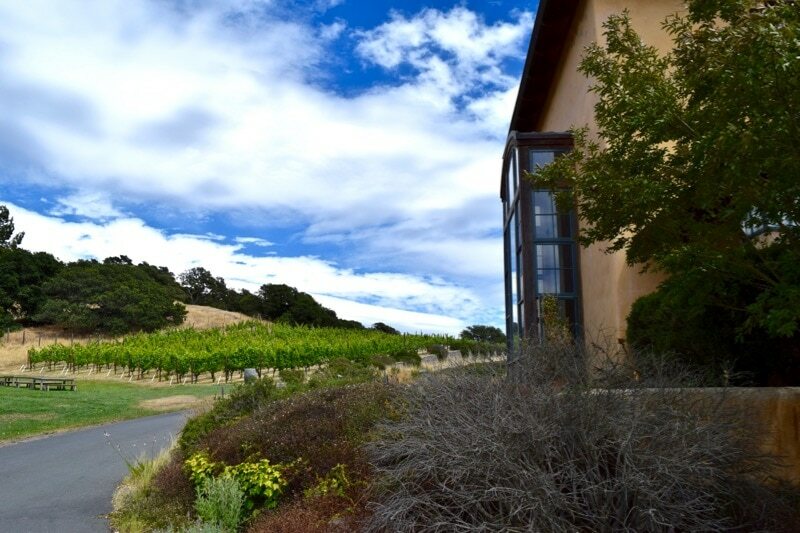 A few people said they preferred Sonoma so as I only had one day, I booked it! Did you stay in Napa? So beautiful out there! Yes we stayed at the Hilton Embassy suites in Napa. I love California, we did the PCH route and then over to Vegas. Oooh that sounds flash! Bet that was lovely! I need to return next year and see more. Really loved it. Want to see more of Yosemite someday too. Great blog. 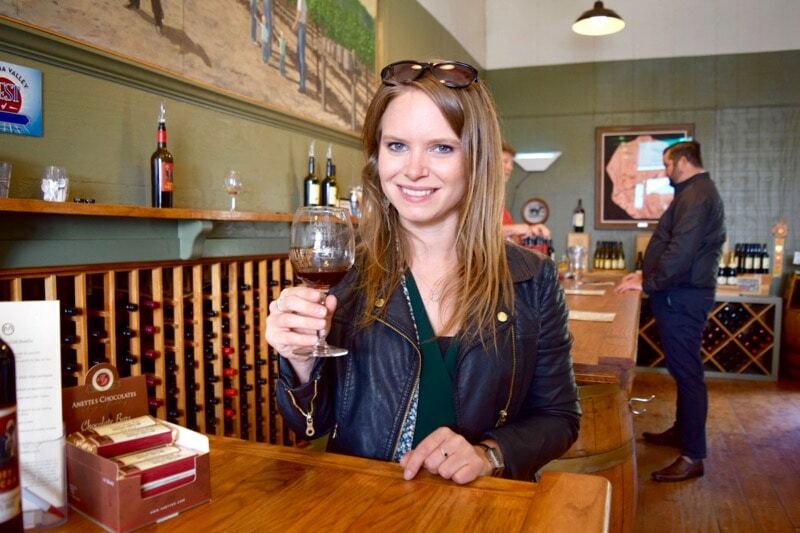 I did not go to Sonoma but after reading your blog I am planing to go Sonoma soon and want to try different wines! It’s a beautiful place to do it! Hope you make it there soon!